From the moment you reach adolescence, the importance of independence is recognised as we strive to become even more sustainable and resourceful in our own lives. Naturally, the aging process can have other ideas, and down the line those small tasks and responsibilities are traded off and facilitated by those trained to do so. Despite this fact, it’s critical that you respect the independence of your elderly loved one and allow them to exercise their own routine and lifestyle. Your caring interests are genuine and not misplaced, but let’s work on how to express them in a way that does not diminish their own capabilities and confidence in themselves. 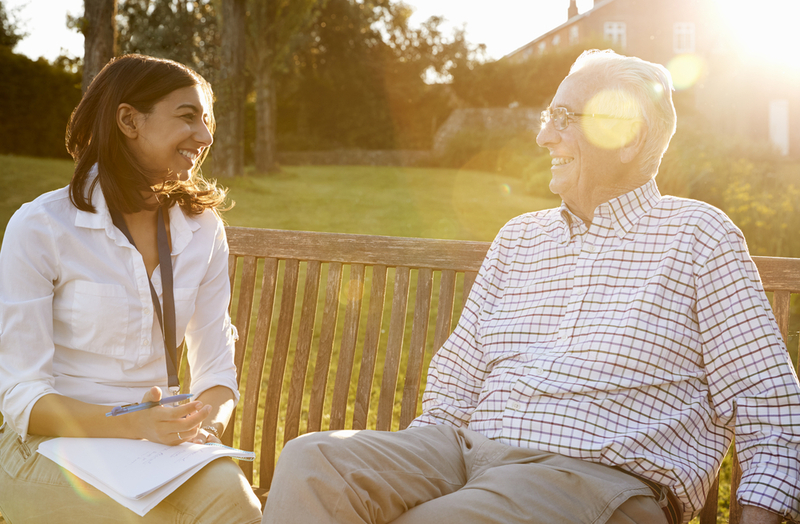 It’s likely that you are seeking the services of assisted living and community care to improve quality of life, but you must be clear to what extent. Reframe your thinking and look through the lens of improvement, rather than replacement. Rather than cleaning a home themselves, perhaps they can take on the dusting and assist with writing a list of what needs to be cleaned around the home. Instead of catching the bus to a doctors appointment, perhaps they can instead set the appointment and advise what time the driver must leave. These tasks are not physically demanding, but they require the planning and mental muscles to make these things happen. Regardless of age, having an active role in tasks like these is vital for boosting quality of life. What are you looking to get out of this assisted living arrangement? And how can you get the most, without compromising the feeling of independence with your elderly loved one? While it can be tempting to try and assist your loved one with anything and everything, this isn’t always the best option. Splitting up responsibilities will allow your loved one to get the care and support they need without compromising their independence. If you are exploring assisted living in a part-time capacity, this may be a great way to divide the responsibilities and retain independence. Monday through Thursday can be the days where your elderly loved one hands over the daily roles to a carer, picking them up again for the weekend. There are some things that your loved one will need help with, and other tasks and routines that will fall on the individual themselves. Carers are especially experienced and trained in the psychology of aging, and will be able to pick up cues suggesting a desire for boundaries in certain circumstances. In addition to sensitivity training, they are also able to help with tasks like washing, cooking, regulating medication and facilitating appointment attendance. To avoid mixed signals, it may be recommended to have the discussion ahead of time, so that clear boundary can be discussed and outlined. This will enable a stronger connection between your elderly loved one and carer, allowing a beautiful bond to grow over the course of the assisted living. The matter of independence should, ironically, be discussed and maintained by many. This approach to care may seem like a contradictory solution, as some tasks could ideally be taken on by a carer - but shouldn't. An open line of communication for all aged care matters should be adopted so that all parties are respected and aligning with a shared goal of boosting quality of life and independence.